But as the platform has grown, so has the job of implementing it. 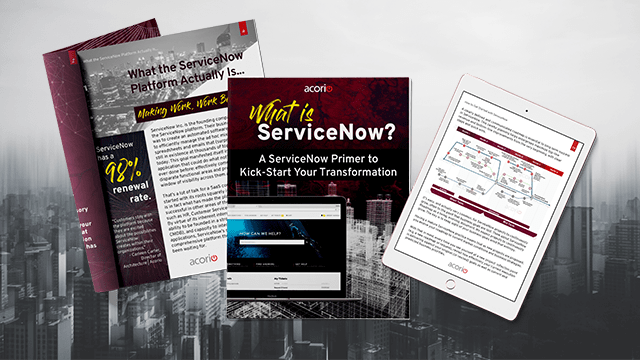 We know the pressure is on to prove ROI and deliver seamless experiences, which is why we are here today with our newest eBook – A ServiceNow Primer to Kick-Start Your Transformation. The book starts at the very beginning (a very good place to start) and is your essential guide to what the platform can do, actual ServiceNow results, how to get started in your own business (building a business case, roadmaps, staffing projects etc. ), plus tips from the experts to ensure success. 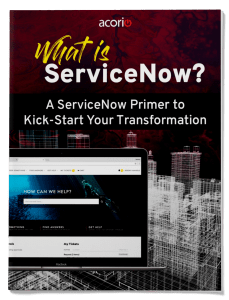 So, welcome to your ServiceNow Primer! I’m going to jump in, but, if you’re in a rush feel free to download the full book now. Welcome to your ServiceNow primer. Whether you are a platform pro looking for advisory insights or a transformation newbie looking to kickstart your instance, we’re here to say that achieving digital transformation or true workforce automation has never been more accessible. ServiceNow Inc. is the founding company of the ServiceNow platform. 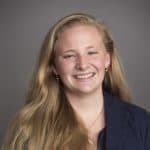 Their business goal was to create an automated software system to efficiently manage the ad hoc mixture of spreadsheets and emails that (surprisingly) still in existence at thousands of top companies today. 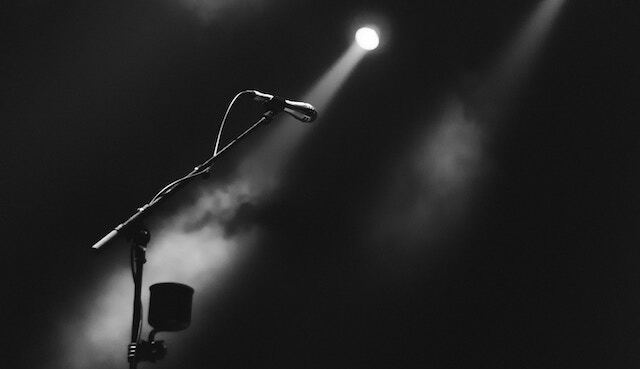 This goal manifested itself into a business application that could do what nothing else had ever done before: effectively communicate across disparate functional areas and provide a single window of visibility across them all. That’s a lot of talk for a SaaS company that started with its roots squarely in IT, but this is in fact what has made the platform so successful in other areas of the enterprise, such as HR, Customer Service and Security. By virtue of its inherent interconnectivity, its ability to be founded in a strong database (the CMDB), and capacity to integrate with custom applications, ServiceNow’s single database is the comprehensive platform these functions have been waiting for. ServiceNow exists in the space known as Enterprise Resource Planning (ERP), along with other enterprise platforms such as SAP and Oracle, or Workday and Salesforce. But what distinguishes ServiceNow from these more narrowly defined, specialty applications? • Consumer-like experiences. ServiceNow’s applications bring consumer-like experiences to inside your business, improving employee satisfaction, making processes like onboarding more efficient and providing more insight and data into problem areas. • Cost and time savings. ServiceNow touts that they “make work, work better”, and their platform strives to transform old and manual ways of working into modern digital workflows. Hand in hand with this comes time savings from automating processes and cost savings from increased visibility into assets and resource allocation. • A system of engagement. ServiceNow brings together all of your systems and tools to engage the end users, and help fulfillers provide the services they are expected to. • A focus on UX across the platform. From the beginning, but even more so recently, ServiceNow has had a strong focus on User Experience across the platform. This UX focus comes across not only in front-end design but in back-end usability for fulfillers. Starting as an IT ticketing platform and building its way across Customer Service and HR, ServiceNow now has several product areas. • IT Cloud. To manage your IT strategy, Operations, and Service Delivery in a single system of action, there is IT Service Management (ITSM), IT Operations Management (ITSM), and IT Business Management (ITBM). • HR Cloud. For faster, more personal service, ServiceNow’s HR Service Delivery (HRSD) reaches directly to your employees to increase productivity. • CSM Cloud. 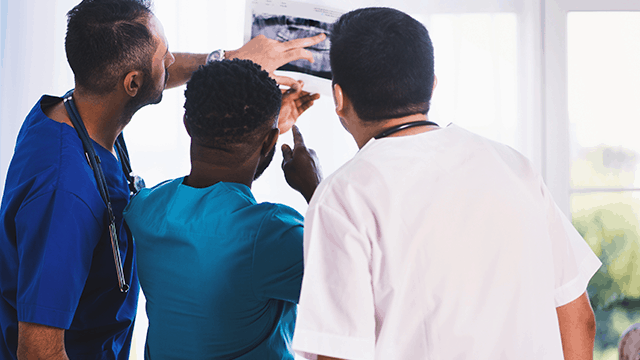 ServiceNow’s Customer Service Management (CSM) connects with other organizations to resolve issues faster and at a lower cost, all while boosting your customer satisfaction. • Security Cloud. 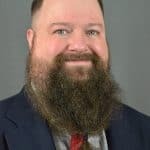 Security has become not only about resolving issues as they come in, but also automating recovery protocols, predicting attacks, digitizing records, optimizing service and monitoring assets. In today’s global world, Security encompasses SecOps and Governance, Risk and Compliance (GRC). Of course, the world of business is constantly evolving, and so should your enterprise platforms. To combat constant business motion, ServiceNow has adopted a 6-month upgrade cycle, which means they release a new version of the platform twice a year. Each one, named after a city in alphabetical order, brings both small code and bug fixes, and larger functionality updates. The very first platform update, Aspen, brought an emphasis on ensuring a robust, scalable system. This update offered new project templates, and first introduced workflow timelines as new features. • Kingston. 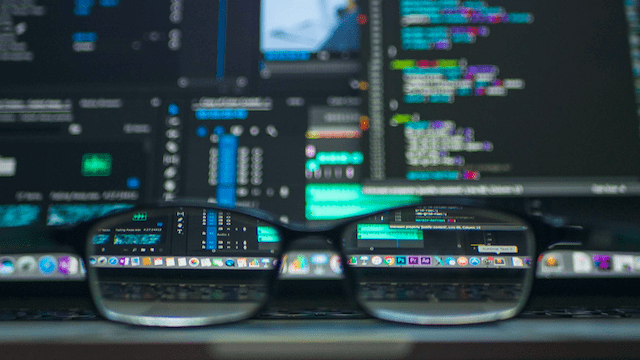 Agent intelligence was launched to the next level from Jakarta, with an increased emphasis on machine learning (which matched ServiceNow’s evolving messaging), as well as increased workflow and app development for non-coders. • London. 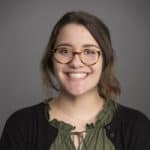 Keeping up with the times, London saw the introduction of Virtual Agents for real conversations, new UI Security Incident Response and new “major issue management” protocols for CSM. This primer is not short on the details. 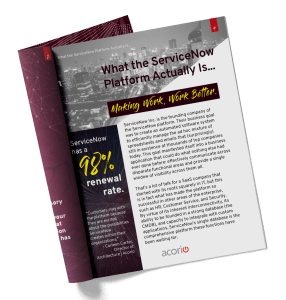 Download your full copy to finish reading about ServiceNow platform differentiators plus tactical help of building your business case and getting your ServiceNow project off the ground.